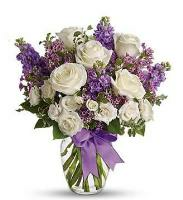 Our Design team of florists in Oman is made up of European and Asian designers who have gained worldwide experience over the years and are passionate about creating unique floral designs. 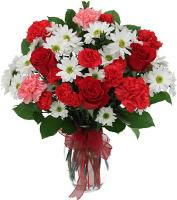 The florists can deliver to all Government buildings, Ministries, Embassys, hospitals, hotels, major companies, and residential areas. 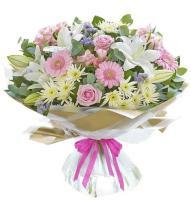 The florists cannot deliver to PO Box addresses and suggest you always advice an Oman telephone and mobile number on the order form. 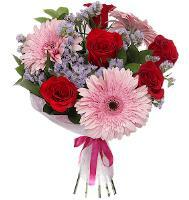 When you send flowers to a hotel or hospital in Oman please make sure that you provide us with the recipient's mobile number and the hotel / hospital room number. 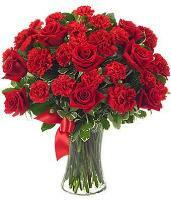 Please note that all flower deliveries to hotels and hospitals in Oman are left at the reception. 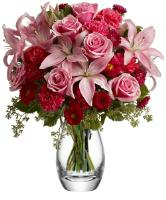 Our network of florists in Oman deliver fresh flower arrangements right to the recipient's door, often in the same day. 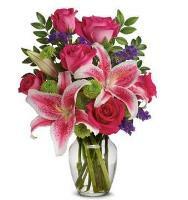 The Oman florist has something for all occasions especially Birthday Day flowers, and gift baskets, birthday flowers and balloons, sympathy flowers, get well flowers, love and romance roses, thank you flowers, new baby gifts, anniversary flowers, and congratulations flower bouquets, so send Oman flowers for all of your gift giving needs. 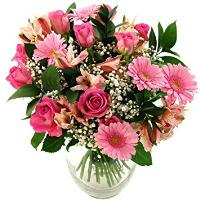 Oman Flower Delivery - With your flower order to send to Oman, we guarantee quality with every flower delivery to Oman that originated on our online international flower delivery network for flower delivery. 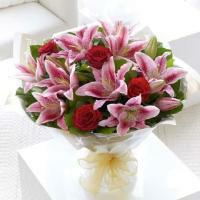 Oman florists also work on major holidays and occasions including; Christmas, Valentines Day, Mothers Day, Fathers Day, Birthday, Wedding, Easter, Anniversary, New Baby..
Christmas Flower Delivery in Oman - A Christmas flower gift from Overseas Flower Delivery, is sure to make any Christmas holiday in Oman, warmer and full of joy. 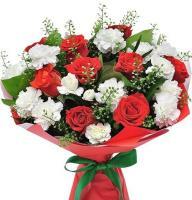 Along with our premium fresh Christmas flower choices, our florists in Oman offer also hand delivery to any location within Oman this Christmas season. 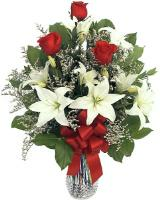 Only please remember to make your Christmas flower order for Oman at least 5 days before, since our florists in Oman will be dealing with alot of flower orders in that period. 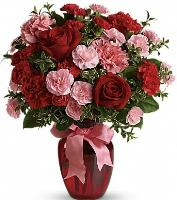 Valentines Day Flower Delivery in Oman - Valentines Day red roses are a great way to say 'I love you', that is why our professional florists in Oman design Valentines Day roses for bouquets, flower arrangements, wreaths any anything you might think of just to make your Valentines Day a special one. 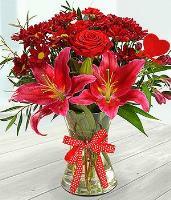 Order you Valentines Day flowers at least 5 days before so that the Valentines Day flower Delivery in Oman can be made on time. 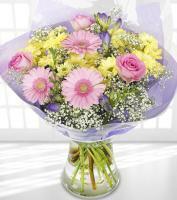 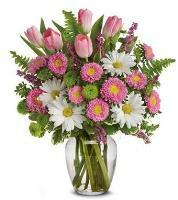 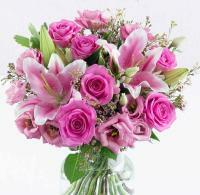 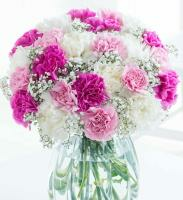 Mothers Day Flower Delivery in Oman - Send your mum in Oman a bouquet of her favourite Mothers Day flowers. 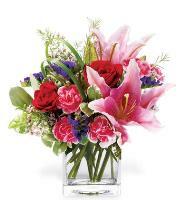 Top it off with a Mothers Day balloon and Mothers Day bouquet just to express how much you love and appreciate her this Mothers Day. 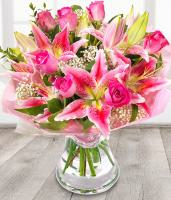 Browse and order Mothers Day flowers online at least 5 days prior the festive day, so that our florists in Oman will have enough time to make it special enough for your mum on Mothers Day. 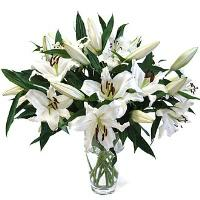 When ordering flowers for a funeral or sympathy please make sure that you include the name of the deceased and every other relevant information for the flowers to be delivered in Oman. 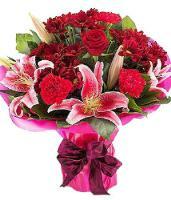 Please Note that all Muslim Holidays are observed and that our florists in Oman cannot deliver alcohol since it is not available in Islamic countries.